Santo, Sam & Ed are goooooo!!! Do you have January 27 2012 clear in your diary? Cinema Nova are presenting a screening of Any Questions For Ben? – the new film from Working Dog. 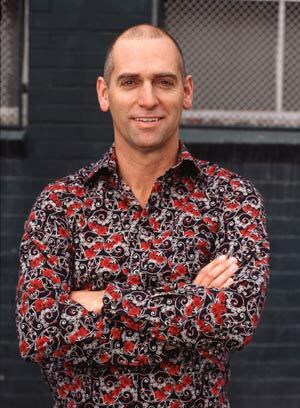 The extra bonus seeing this special session is that you will meet (or at least be in the presence of the same room as..) Rob Sitch, the Director of AQFB, who also directed The Castle and The Dish. Writer/director/comedian Rob Sitch (The Dish, The Castle, Frontline, The Panel) makes a special appearance at Cinema Nova to introduce his new film, Any Questions For Ben, before an advance screening. Join Rob as he shares some stories from behind-the scenes, talks about the joys of working on an Australian film, and tells us what is was like teaming up again with partners in crime Santo Cilauro and Tom Gleisner. From the Working Dog Team who brought you The Castle, and The Late Show, Any Questions For Ben? is amongst 2012’s most anticipated comedies featuring an all-star cast including Rachel Taylor (Red Dog), Daniel Henshall (Snowtown) and Alan Brough (Spicks and Specks). For 27-year-old Ben (Josh Lawson), life couldn’t be better. He has a well-paying job, good friends and nothing to tie him down. But when he is invited back to his old school for a student Q&A about their personal achievements, Ben is the only speaker not to be asked a question. This triggers a year of soul-searching and looking for answers in all the wrong places with hilarious results. Tickets are available now through Cinema Nova’s website now. Get them while they’re hot. when trying to access subforums.